For a brief period from June 1962 to December 1964 Studebaker produced only 5,800 Avantis. They were ahead of their time in both styling and engineering, but production problems and the decline of Studebaker itself would make their run short. We are happy to see that such a rare and beautiful car can still be found under the DT price limit. 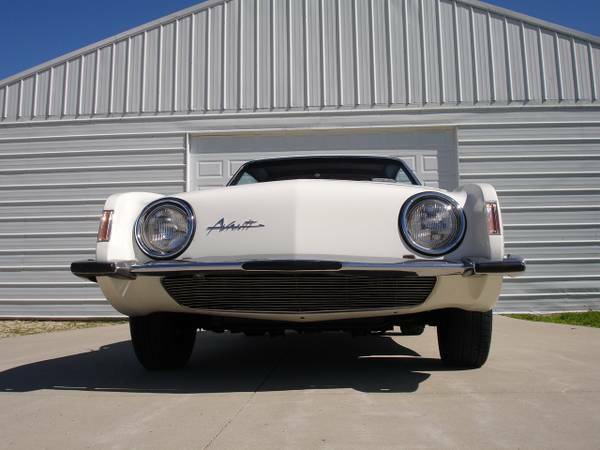 Find this 1964 Studebaker Avanti for sale in Southeast, MN for $19,500 via craigslist. Unfortunately, this is neither the 4-speed model nor the supercharged R2 edition. Atoning for these shortcomings is a car in seemingly fabulous condition and amazing 48,000 miles on the odometer. 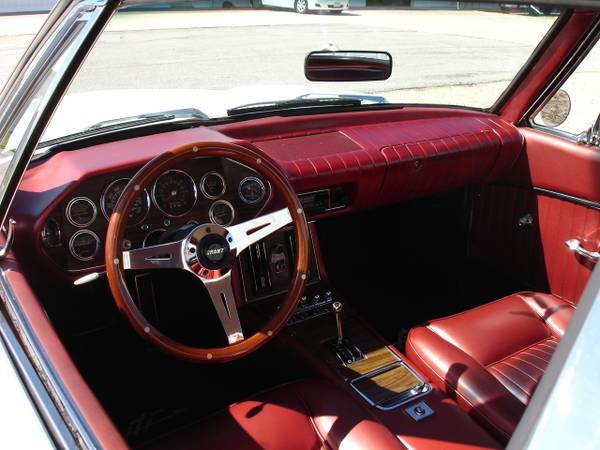 What really sets this car apart is its aesthetics and they are well preserved here. 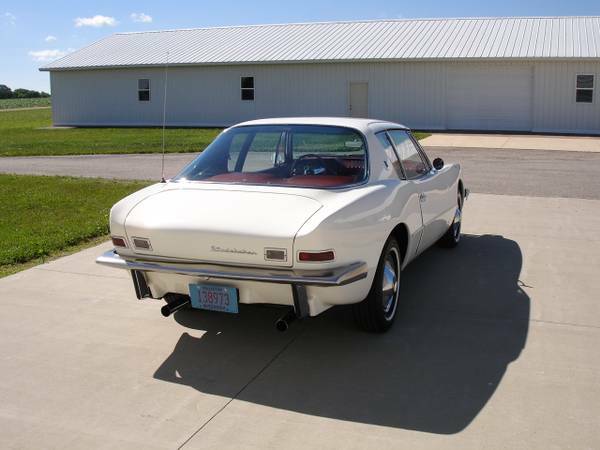 If the Porsche 968 had started production in 1962, the Avanti would make a passable first generation model. 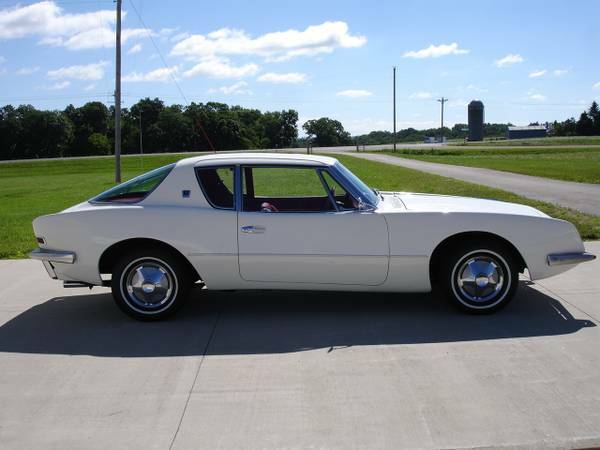 With its bug-eyes, bubble rear glass, flush taillights and sharply creased lines, the Avanti was a trendsetter. In fact, the shape was exotic enough that it could not be produced in steel with the technology of the time. It had to be created from fiberglass. It is a safe bet to say that car designers took a hard look at the Avanti and incorporated its styling cues in the years to follow. Studebaker is a niche marque that did not garner the same kind of collector following as the big three car manufacturers. This is probably why you can still find Avantis around at a decent price now and then. My advice is to use this advantage and enjoy a real rare classic for a little money. Wow! August 20th was the day that this car was built and the last day that circular headlight Avantis were built prior to the changeover to square bezels. This would be a super rare car in a very odd Stude trivia way. I drove a '64 GT Hawk in high school and used to work on these cars a fair bit. The Stude 289 is built like a brick doo-doo house. So many forged bits it would make a Snap-on truck jealous. I never could get used to the front end, but Oh that cockpit, why can't that be replicated today? Now the Hawk, I'd give half my nuts and all my bolts for most any Hawk, not to mention the '53 Commander. Nicest one I have seen in a while. Postwar Stude had no money, grossly undercapitalized, so they borrowed parts from commodity suppliers and other mfrs which isn't a bad thing when trying to keep one running. These and the '53-54 coupes are way up my list.